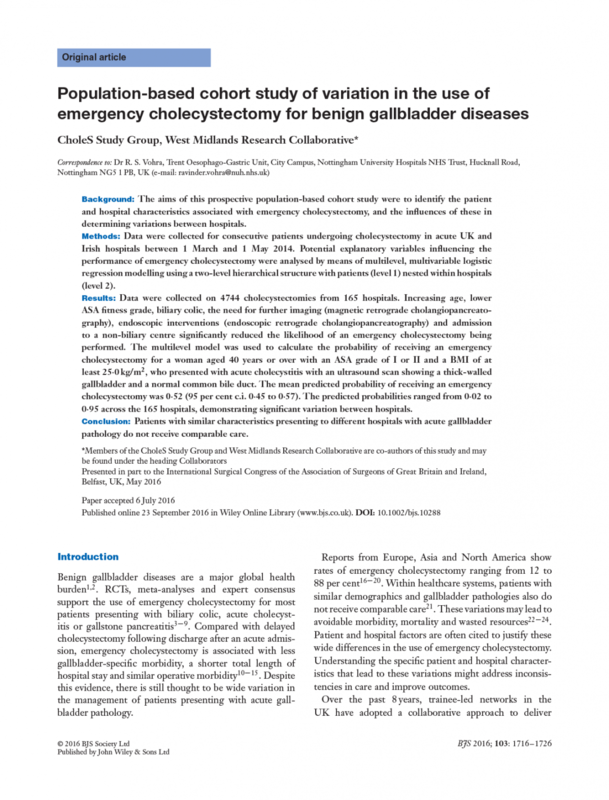 Population based cohort study of variation in the use of emergency cholecystectomy for benign gallbladder diseases. Br J Surg. 2016;103:1716. Home » Portfolio » Population based cohort study of variation in the use of emergency cholecystectomy for benign gallbladder diseases. Br J Surg. 2016;103:1716.